Here is an incredible, once in a lifetime experience … live like Royalty and spend New Year in style at the beautiful historic Schloss Prielau set on Lake Zell. The castle is actually owned by the Porsche family, and offers just 24 beds in this elegant and sophisticated lakeside retreat – no private chalet could rival this experience! 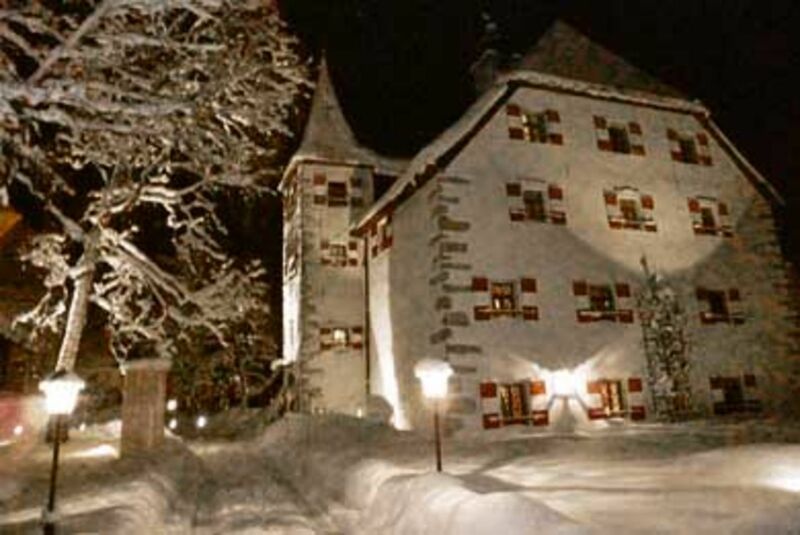 Adjacent to the hotel is the Gourmet restaurant Mayers, where a New Year banquet will be served…..
Zell am See / Kaprun is approximately 1 hours drive from Salzburg, and with the Kitzsteinhorn Glacier as part of the Zell am See / Kaprun ski area, New Year skiing is snow sure. At over 3000 metres, the glacier is an awesome experience, and although it’s not for the feint hearted, the new Black Mamba offers an up to 63% steep black piste. The castle offers 2 suites and 7 double rooms, accommodating up to 24 guests. The hotel also offers a ‘Bath house’ – with a steam bath, a sauna and massages available. New Year’s Eve sees a gala dinner for all the senses served in Mayers Restaurant. Andreas Meyer has garnered rave reviews for his unique style of cuisine and the restaurant has attracted a Michelin 2 star rating and many more accolades. Whilst this unique opportunity will see all the guests feel like Kings and Queens for the week, there is no need to sell the crown jewels! This experience is in fact very affordable. More information.